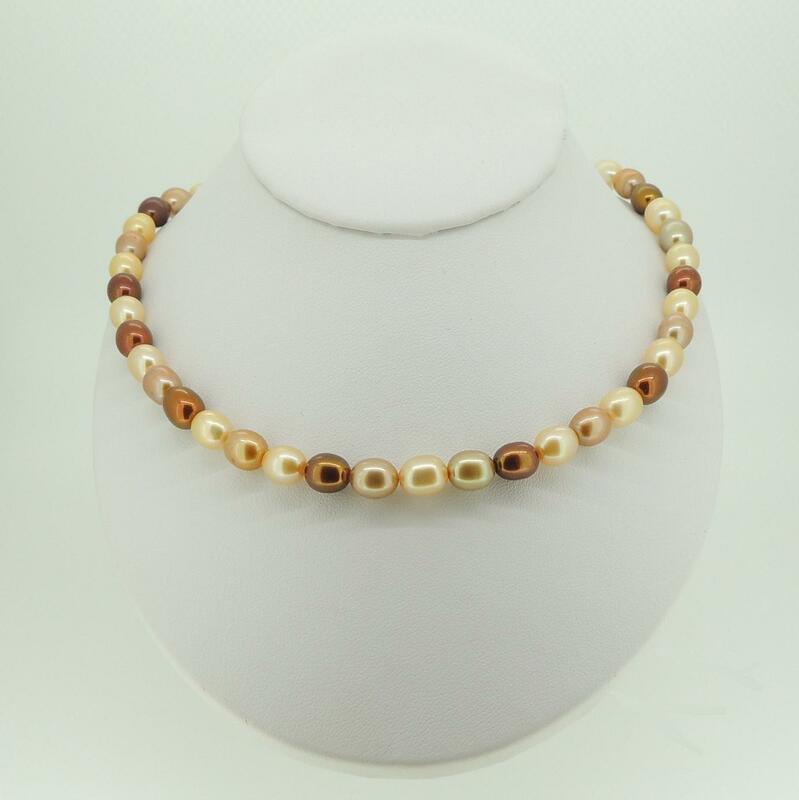 This 6mm golden rice pearl necklace is beautifully designed, with even the sterling silver clasp echoing the lovely oval shape of the cultured freshwater pearls. 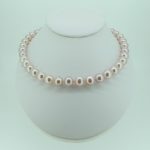 These AAA grade pearls are strung on silk with knots between each pearl, meaning that they will always lie against each other beautifully and will never bunch or leave gaps. The colours are individually chosen to complement each other and the whole necklace just shimmers with an understated golden beauty. 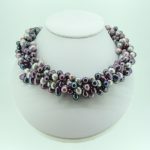 Worn with a simple dress in the evening or against a tanned skin on holiday, this necklace will look simply fabulous.